The Integrated Coastal Zone Management in the Northern Coast of Egypt ? 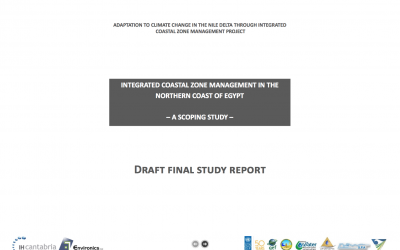 a Scoping Study is an initiative of the Adaptation to Climate Change in the Nile Delta through Integrated Coastal Zone Management Project (ACCNDP), to define the scope of establishing an ICZM Plan along the Mediterranean Coast of Egypt. Since the 90?s, ICZM is a major concern for Egyptian institutions to deal with the great variety of coastal problems and the uncertain consequences of climate change. This study is a step towards a sustainable management of the Northern Coast of Egypt, by identifying main coastal issues and challenges to determine future management priorities. 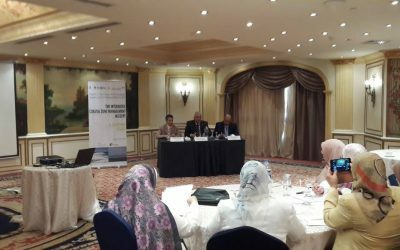 Considering public participation as a key component of ICZM, the collaboration and participation of coastal stakeholders is essential to ensure the success of this study and further steps of the Egyptian ICZM process.